Leverage - full-service design, development, and strategic marketing agency in St. Louis. We empower brands to Get Started. Grow. Thrive. We are a full-service creative agency that specializes in design, development, and strategic marketing. We strive to create trusted partnerships with our clients, supporting them in the discovery, creation, and cultivation of their brands. We believe thoughtful, beautiful design leads to better experiences. Better experiences lead to happier people. And happier people leads to a better world. So, how can we help? What can we help with, you ask? With every project comes a unique set of challenges. We thrive on solving those challenges with innovative solutions that help our clients create exceptional experiences. As needs evolve, so do our services. Explore all of our capabilities. "Leverage has been a valued partner for several years. In fact, so much so, we really view Leverage as an extension of our team! While the agency has many strengths, what we appreciate most is their collaboration. We have direct access to Matt and Laura to share ideas and concepts, which as a result, the outcomes exceed our initial expectations. They are laser-focused on our business objectives and are not afraid to think outside the box. Throughout our relationship, we have never felt "nickeled and dimed," which is so common with other digital agencies, but innovation is never sacrificed. They’re honest, creative, accessible and nimble – a true partner in every sense of the word." "We partnered with Leverage to create an office tour video and we could not be more pleased with what they produced. Not only did they knock it out of the park in terms of the design, but the story, messaging, and tempo of the video was spot on. This wasn’t an easy task and they pulled it off. Working with the Leverage team was a seamless and delightful experience"
"Oh. My. Gosh! THANK YOU from the bottom of my heart for all of the amazing work you put into making this Summit an incredible success! We have all gotten so much wonderful feedback on how great it was, and we could NEVER have done it without ALL of you! I can't tell you how much we appreciate and value your creative inspiration, your incredible ability to organize the madness, and your unending patience. But mostly...your friendship and commitment to our success. You are THE BEST! REALLY AND TRULY! I know I speak for all of us when I say – THANK YOU my dear friends...THANK YOU!" "Leverage has been instrumental in the growth of our Mama Lola’s Tortillas brand having been in involved in everything from a complete redesign of our logo, website, marketing materials and CRM system. The team is extremely professional, responsive and energetic. As our company continues to grow, I fully expect Leverage to be a big part of our story." "Working with Leverage on our website redesign was easy. The process they use from the initial meeting to the finishing of the project is very detailed and personal. They do excellent work, but more importantly they create a relationship with their customer. Thank you to Matt, Laura, and the Leverage Team!" "In running a small business, it’s difficult to find the time to do the things that I know how to do. Trying to carve out time in my day to maneuver through the confusing world of web design, SEO, advertising, marketing and brand management is next to impossible. Leverage has taken those important pieces for our business out of my hands and managed them with care and professionalism. They have a very focused and organized approach to everything they do and even as a small business, we get very personal and prompt attention. We get endless compliments on our website and the publications they create are both lovely and professional. I feel very lucky to have such a talented and creative team to design for us!" "I am currently in a long-standing relationship with Leverage. They handle various aspects of my marketing/media needs. One of Leverage’s best qualities, in my opinion, is their ability to truly listen to my needs, and then develop strategies to achieve my goals. It’s hard, being an "outsider" in the programming/development world, because I never know when there are technical hurdles to some of my "asks". 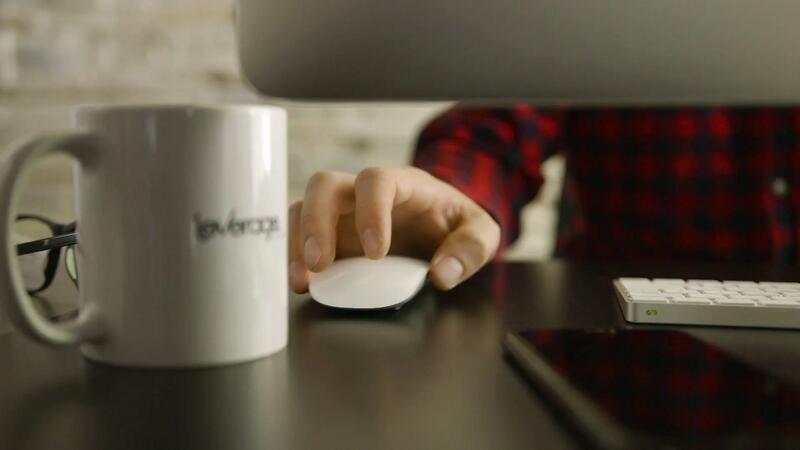 Leverage does a fantastic job of focusing on the end result, and not letting the technical knowledge gaps affect their ability to provide top-quality service. Plus, their process is engaging, creative, and fun. Fun is good." "Leverage came highly recommended to us and we had the pleasure of working with them on our new Rawlings Tigers Baseball Club website, www.rawlingstiger.com. It was an outstanding experience for us. The attention to detail and customer service was second to none. The development team and graphics department helped every step of the way to ensure that our ideas and club culture were being implemented throughout the site. They came up with a very interactive, user-friendly concept that has taken our club to the next level." "Leverage New Age Media does a spectacular job hosting our website. We’ve had many compliments from patients in regards to our site being user friendly and easy to navigate. They respond quickly to our requests to update or make changes to the site. They’ve also helped us with other general internet issues to correct misinformation on the web. Highly recommend this company. Jackie, Office Manager, Gateway Gastroenterology, Inc."
"Leverage has been a fantastic partner to Nestle Purina! Their knowledge of publishing and the retail environment has been invaluable to our team for our growing e-commerce business."